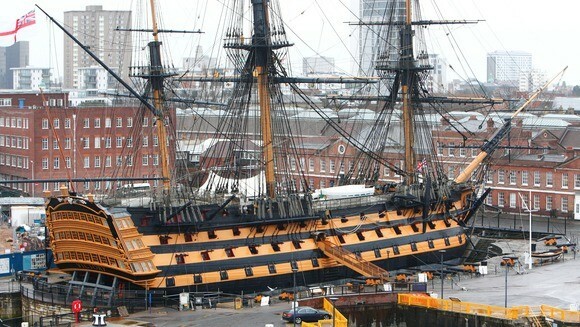 The HMS Victory of 1765 is the oldest ship in the British naval service. Fame gained the Victory as the flagship of Vice Admiral Horatio Nelson at the Battle of Cape St. Vincent and in the Battle of Trafalgar. 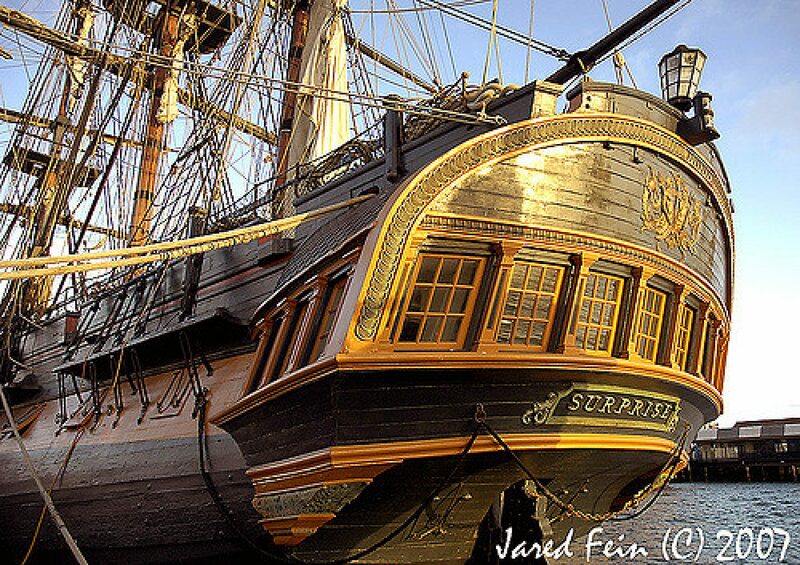 HMS Victory is the only 18th Century ship of the line still to be found anywhere in the world. She is the world’s oldest surviving warship still in use and a unique experience of life in the 18th century navy. It is now a museum ship in Portsmouth, but also serves as the First Seelord for official receptions and events. In 1758, the ministers of King George II launched an ambitious project to build twelve new liners. At the top of the list was a ship – at that time still without any name – with over 100 guns to build in Chatham. 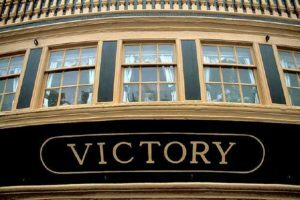 The year 1759 was the “Year of Victories” for Great Britain. After the war, in November 1811, she was assigned along with other ships of the line from a 130 British ships existing Baltic convoy as escorts. The Victory, along with the other ships, was to sail from Sweden to Britain as a series of heaviest storms hit the convoy in Danish waters. 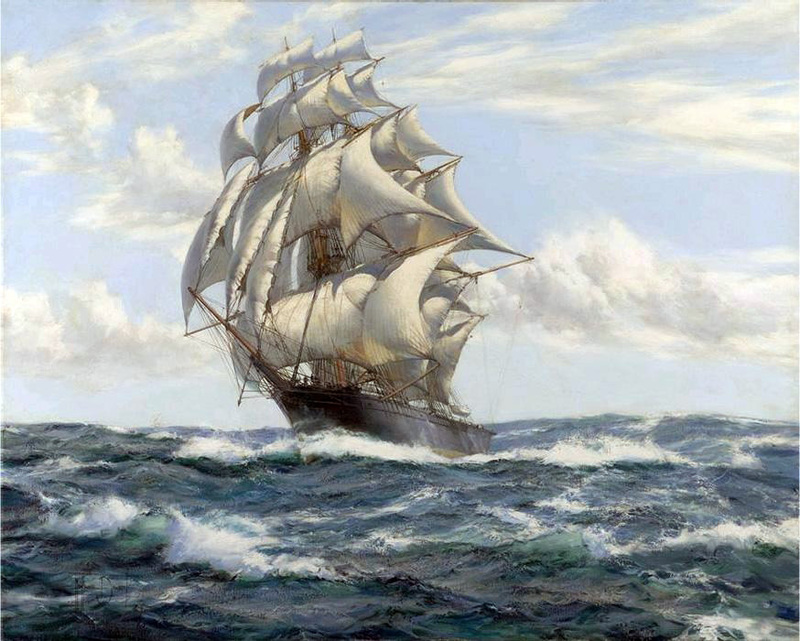 The storms caused one of the most lossy ship disasters in British maritime history. Alone in the stranding of the two accompanying battleships HMS Defense (74 guns) and HMS St. George (90 guns) on December 24, 1811 on the west coast of Jutland, 1407 sailors died, only 18 could be rescued; at Texel sank the battleship HMS Hero (74 guns), of the 550 crew only 8 survived (according to other sources, there were no survivors). A large number of merchant ships were lost as well, killing more than 2,000 British sailors in total – more than in combat during the entire Napoleonic war. The still existing HMS Victory is the sixth ship of the Royal Navy, which bore the name “victory”. The legendary Eric Tabarly racing cutter. 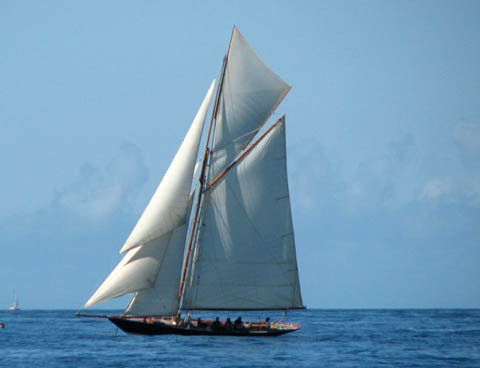 Saved from misery by Eric and his father when the former was only 7 years old, the Pen Duick was the first of a series of boats with which Tabarly won many victories on various races. 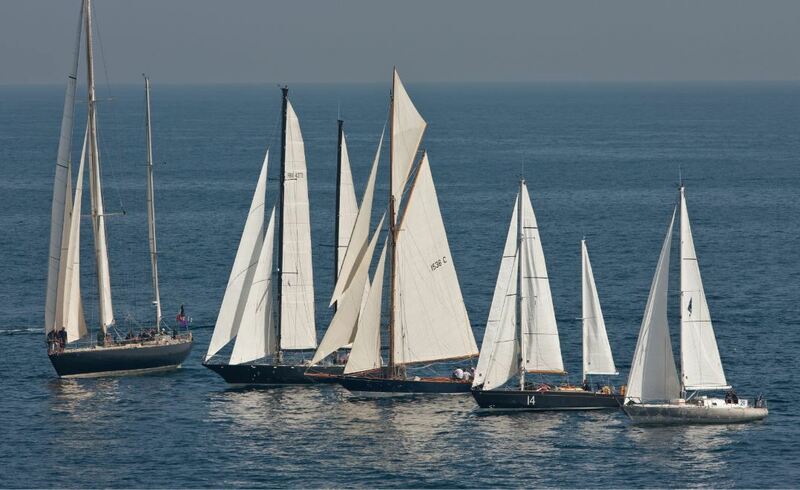 Born in Nantes in 1931, Tabarly developed from childhood a passion for the sea and sailing. He got great victories and sprayed records in a time when anglo-saxons dominated ocean races. Far from relaxing in the glory, he continued to build ever more efficient ships and winning races. 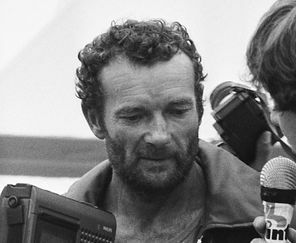 He met his end by disappearing on the water os the English Channel when steering his old Pen Duick to participate on a regatta of classic sailing in Scotland. 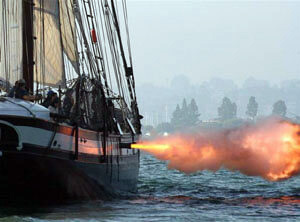 The HMS Bounty is the stage of one of the most famous riots in history. 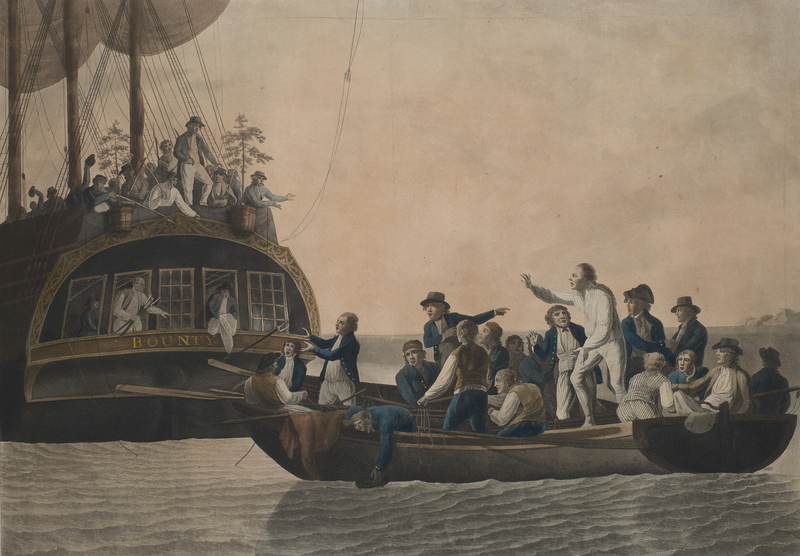 The details of the voyage of Bounty are very well documented, largely due to the effort of Captain William Bligh. 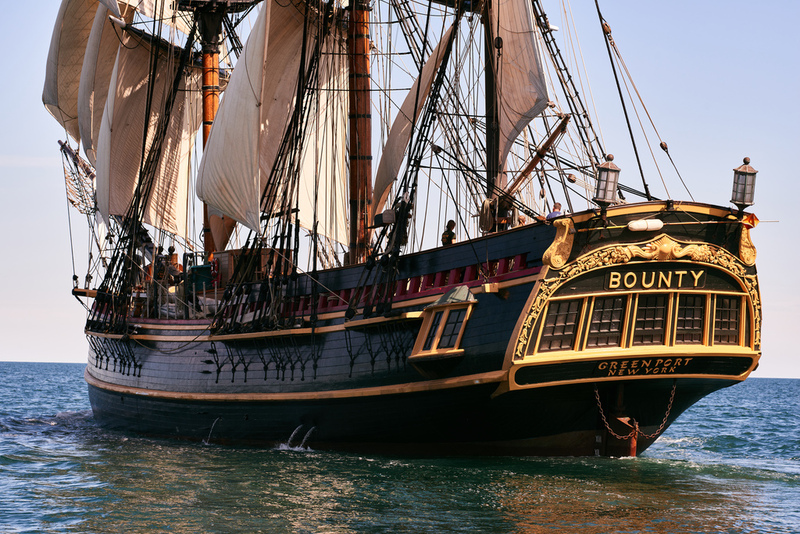 Bounty was originally a collier cargo (Bethia), built in 1784 at the Blaydes shipyard in England. The Royal Navy purchased her in 1787, refit, and renamed her Bounty. She equipped with four 4 cannon and ten swivel guns and get ready for a special experiment. In December 1787, the ship departed from England, sent to the Pacific Ocean for Tahiti under the command of William Bligh to transport bread trees to British possessions in the West Indies. The ship spent five months in Tahiti, because the breadfruit tree was in a resting phase at the time of arrival and not immediately cuttings were to be pulled. In this room the crew became habituated to the customs of the natives and established relations with women of Tahiti, almost forgetting their condition of English sailors. Continue the voyage, a number of crew members, together with the first mate of the ship, took up insurgency against the captain and took control of Bounty. The insurgents then fired the Bligh and 18 crew who were still loyal to him and fired from the ship on a boat with some initial supplies without any maps. However, Captain Bilgh carried out a great feat by sailing more than 3,500 nautical miles for forty-seven days until arriving at port of Kupang city in Timor island, losing only one of his eighteen loyal sailors. The men waited in Kupang for the first opportunity to travel home. Twelve of the 18 people with Bligh survived till they arrived 1790 Portsmouth. But insurgents sailed the Bounty back to Tahiti. They met their wives again and equipped themselves to found a colony on Tubuai Island. In Tubuai, the ship was dropped on the beach and a fort was started to build, but the project had to be abandoned after three months as a result many bloody dissensions with each other and with the locals. 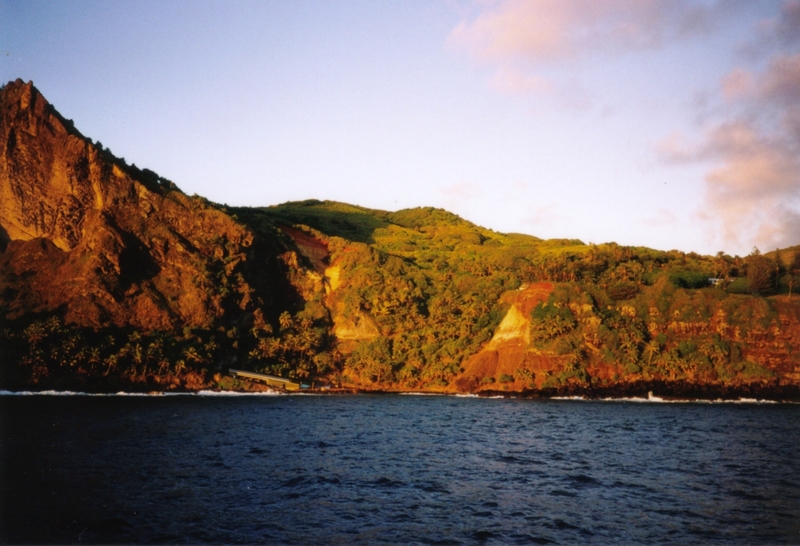 Eventually in 1790 the mutineers sailed the Bounty to Pitcairn Island and destroyed her by fire. It’s now known as “Bounty Bay”. About the ship Bounty there is a film and many book. HMS Endeavour was a British Royal Navy research vessel that Lieutenant James Cook commanded to Australia and New Zealand on his first voyage of discovery from 1768 to 1771. He draw the first detailed maps from these islands and a team of scientists researched for the first time the life of the indigenous people, plants and animals of the region. She was launched in 1764 as the collier. 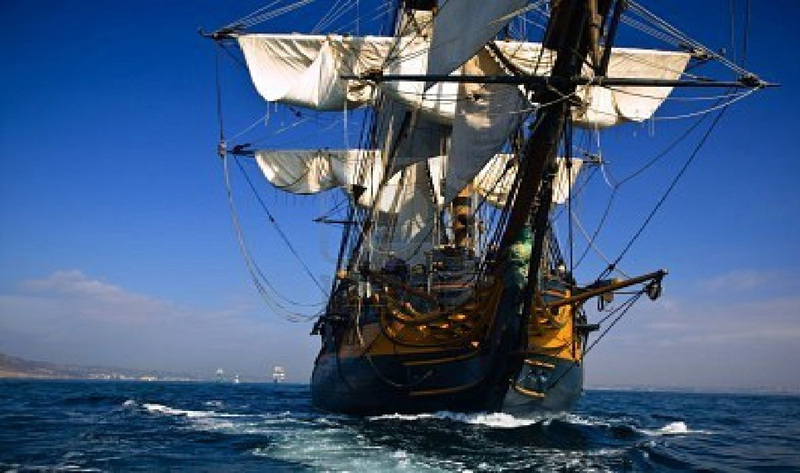 The navy purchased her in 1768 for a scientific mission to the Pacific Ocean and to explore the seas for the surmised Terra Australis Incognita or “unknown southern land”. 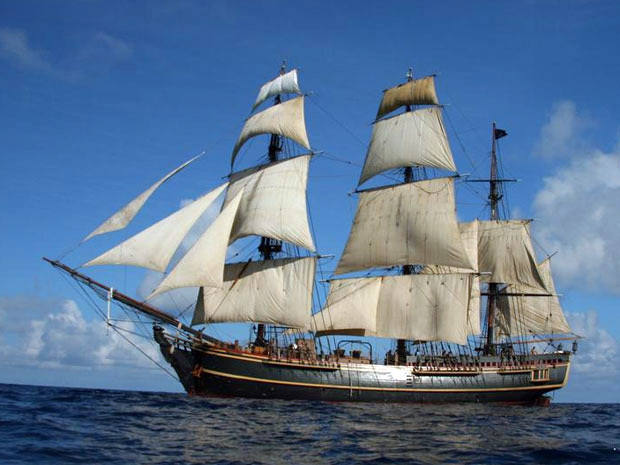 Endeavour became the first ship to reach the coast of Australia and New Zealand. 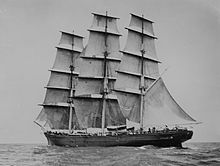 After a great journey of researches, explorations and adventures, she returned to the English port of Dover , having been at sea for nearly three years. This lovely ship was totally forgotten after her epic voyage and spent for years only sailing to and from the Falkland Islands. She was sold into private hands in 1775 and later renamed as Lord Sandwich. Her wreck has not been precisely located, just some of her relics are displayed at maritime museums worldwide, including six of her cannon and an anchor. A replica of Endeavour was launched in 1994 and is berthed alongside the Australian National Maritime Museum in Sydney Harbour. The US Space Shuttle Endeavour is named after the ship, and she is depicted on the New Zealand fifty-cent coin. Bon Retour, scallop fishing boat of the coast of the French Brittany used for this activity until 1980. 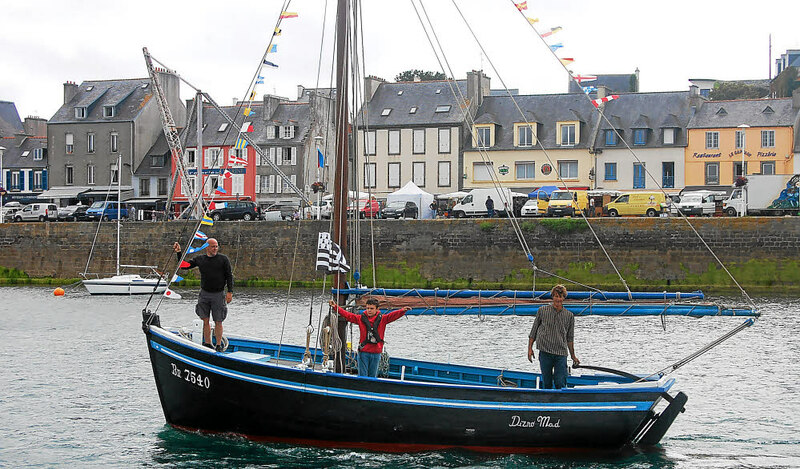 Built in 1952 at the Tertu du Fret shipyards, it was fishing for thirty-seven years. In 1982 it passes into the hands of Guy Le Cornec, who undertakes his restoration. Today the ship is managed by the association TUD AR MOR, entity that has as its objective the preservation of the marine culture. 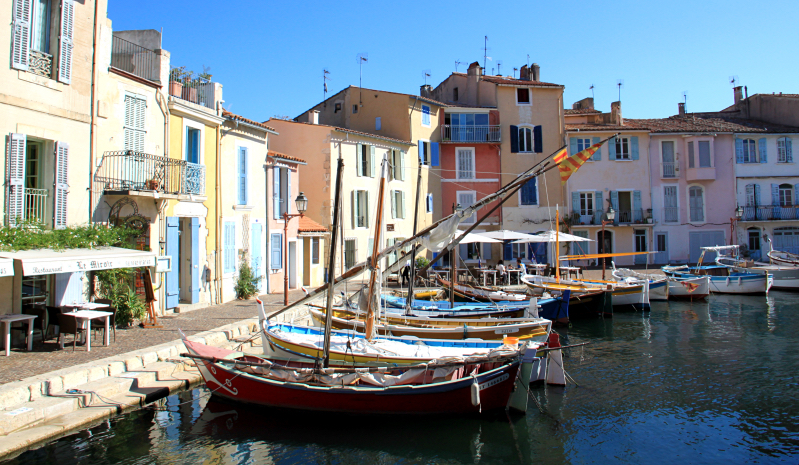 The Provencale, traditional fishing boat of the French Riviera. With a typically Mediterranean line thanks to his two lateen sails, this boat used to be made from the rest of the wood used for the larger fish construction. The bottom of the hull of the Provencale is flat, what allows it to unload at the shore of many beaches and coves of the beautiful region which is typical. Common among the poorest fishermen, these vessels used to have serious problems when the weather was adverse. 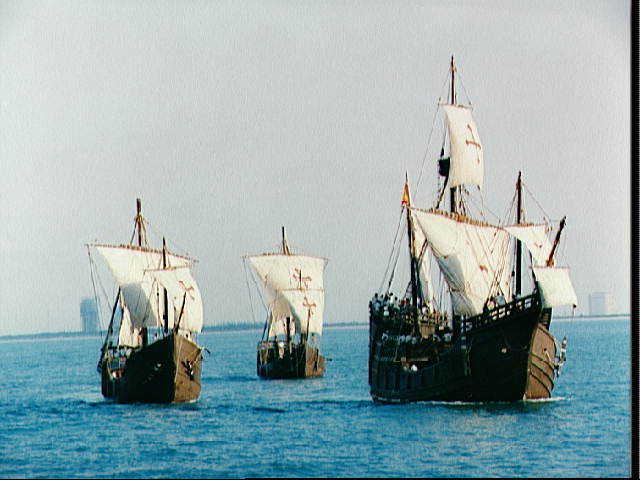 The three caravels used by Christopher Columbus in the first voyage to the New World. 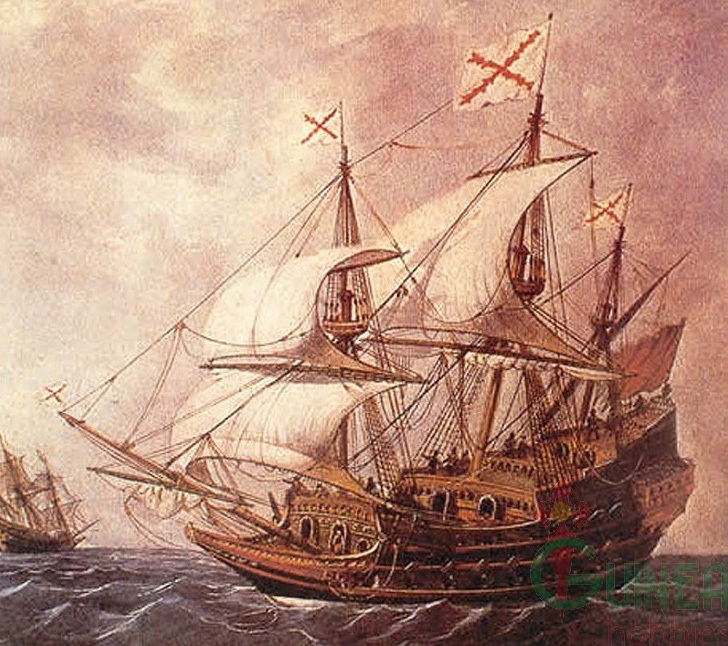 The expedition, Christopher Columbus with 90 seamans, left the Port of Palos in 3 of August of 1492 captained by the Santa Maria and two other ships La Pinta and La Nina. At the beginning, the situation looked good and the sailors were completely commanded by Columbus, but after a few days when the coast disappeared below the horizon, they gradually became scared. Until then, all the ships that traveled in the Atlantic Ocean were on either side of the northern or southern route, and were always on the coast of Europe or Africa near them. But now they were heading to the unknown central part, where, according to the populace, was full of terrible monsters, and the severe storms blocked the way to the ships. 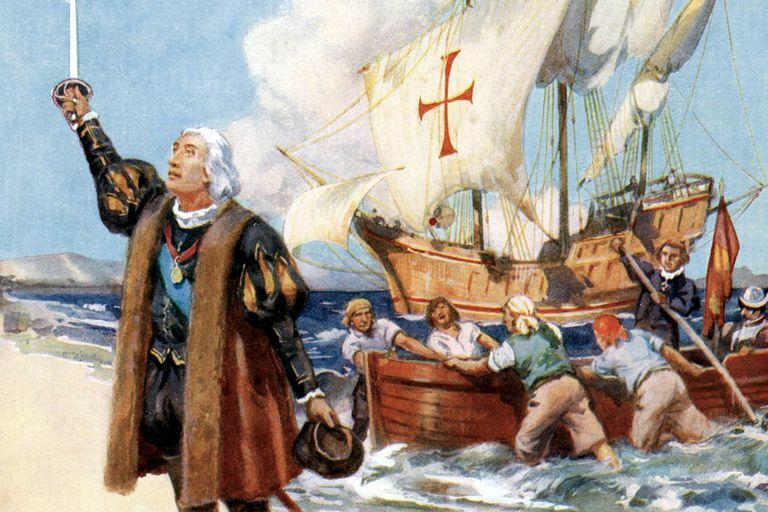 Christopher Columbus continued his journey despite all the difficulties he faced. He was tasked by the Catholic Monarchs of Spain in the name of the Crown of Castile to find a way westward to India. But nobody knew that passing through the Atlantic Ocean will arriving in America instead of Asia. Christopher Columbus never knew that he had discovered an unknown continent. With his imagination, they came to India from another direction. For this reason, indigenous tribes – and nowadays original Americans are still called Hindus. The Cutty Sark, legendary ship-tea clipper class- of the 19th Century. Built for the tea race and one of the fastest ships of its time. 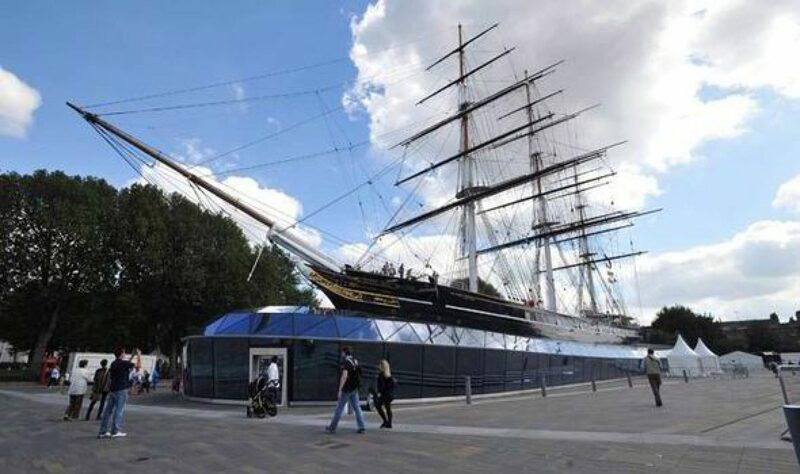 Launched in Dumbarton (Scotland) in 1869, Cutty Sark was dedicated in his early years to the tea race, trying to unite China and London in the shortest possible time during eight ‘tea seasons’. In the same year of its launch, the Suez Canal was opened, which made the route much shorter and gave advantage to steamers. 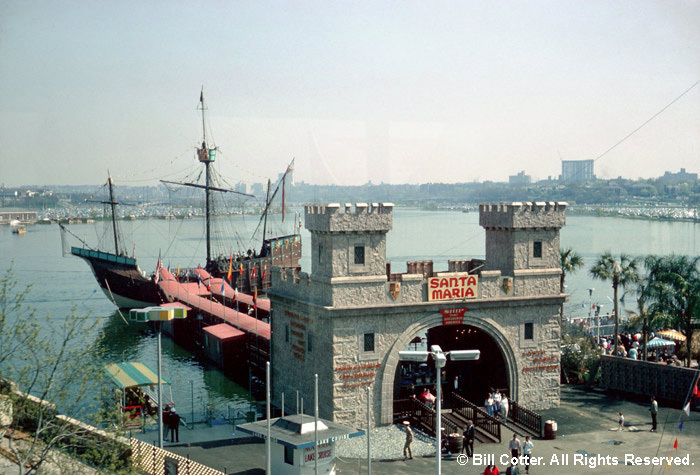 It was possible to cross the Suez Canal for a sailboat, but it was difficult and expensive, conditions for sailing in the Red Sea are far from ideal. Later it would be dedicated to the trade of wool from Australia, being the fastest boat in these routes during a decade, and it also would be used for the transport of goods between Porto, Rio de Janeiro, New Orleans, Lisbon and the Portuguese colonies. Finally, in 1954 it would be transferred to dry dock and preserved as a museum vessel in the town of Greenwich. 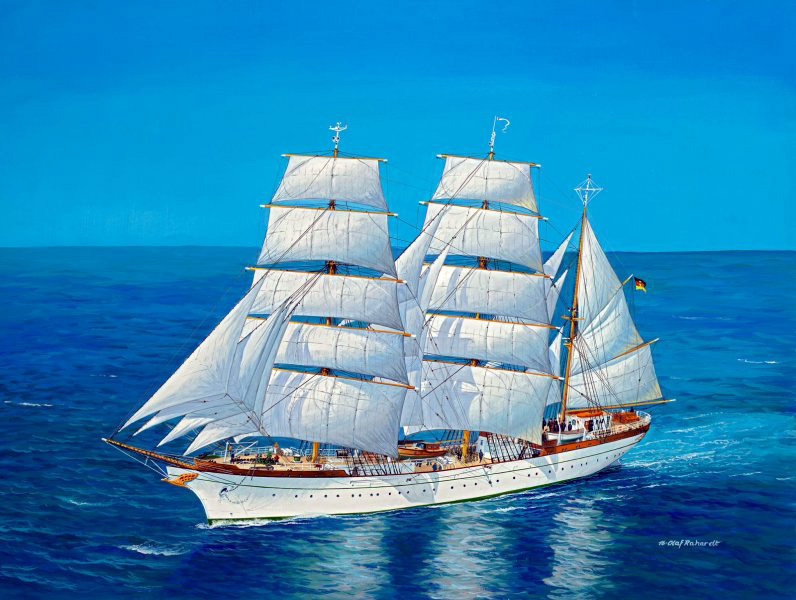 The Gorch Fock, sometimes referred to in the literature as Gorch Fock II, is named after the writer and poet Gorch Fock (Johann Wilhelm Kinau), who drove and fell 1916 on the Wiesbaden in the Battle of the Skagerrak. 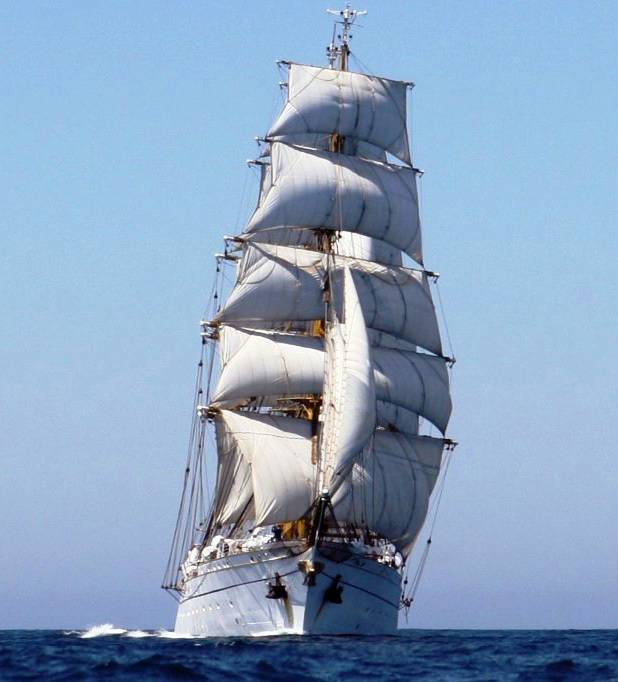 The first Gorch Fock built in 1917 was an outpost boat. From 1919 it served as a fishing vessel until the navy bought the boat in 1936 and rebuilt to auxiliary minesweeper and named Hugin. From 1945 to scrapping in 1952 it served again as a fishing vessel. 1958, like the first Gorch Fock of the Imperial Navy, Gorch Fock II was built by Blohm & Voss in Hamburg. The ship was subordinate to the commissioning of the training ships, therefor it was subordinated 1966 of the naval school Mürwik in Flensburg-Mürwik. Todays, due to the cost of maintenance and repair of this magnificent ship, which is estimated at 135 million euros by 2018, it plans to give it to sailing companies. Till January 2011, the ship sailed according to official statistics 741,106 nautical miles. In 439 harbor visits, 180 different ports were visited and over 60 territories visited on all continents. Originally built in the port of Le Havre in 1794 as the 32-gun small warship and captured by the English two years later, this beautiful ship was renamed and put at the service of the Royal Navy as a 6th class. Rearmed with carronades instead of long guns by desire of her captain, she has the recapture of the HMS Hermione in 1799 among his most famous passages. Under Captain Edward Hamilton, Surprise sailed in the Caribbean for several years, capturing several privateers. 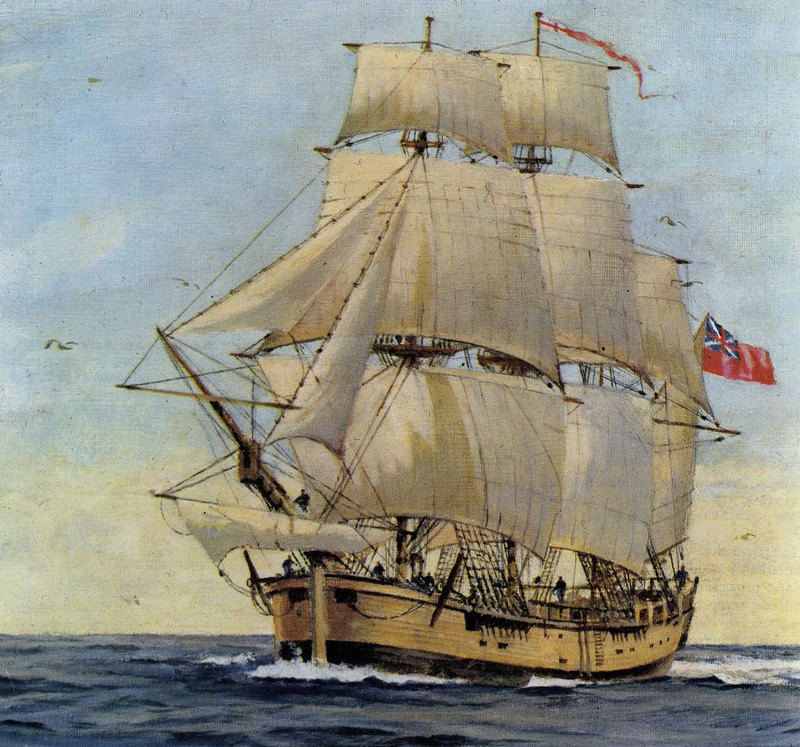 HMS Surprise was the ship chosen by author Patrick O’Brian to restore Captain “Lucky” Jack Aubrey of the Aubrey–Maturin series to his place as a captain, and eventually see him raise his flag as an admiral of the Royal Navy. Surprise is an important element of the series, both because of her importance to the running plotline, and because of the emotional attachment she has earned among fans of the series. Famous cutter of French origin. 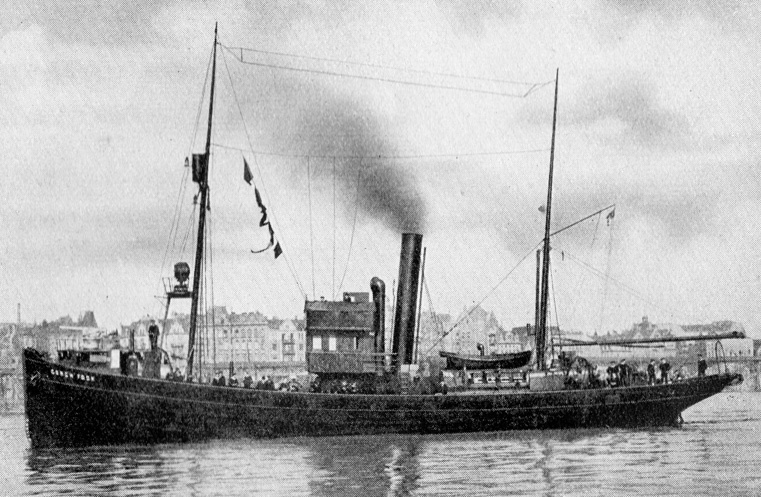 After a short trajectory like Pilot Boat, it happened to be used like fishing boat due to the substitution of the propulsion to sail by the steam engines. The Jolie Brise could get to sail at 9-10 knots. 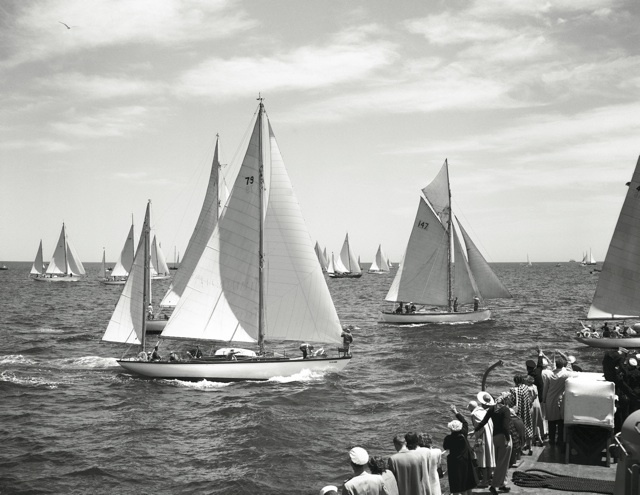 It became a legendary racing cutter winning the first Fastnet race in 1925, and again in 1930, among many other races. He gained a great fame when rescuing in the Bermuda Ocean Race of 1932 to the crew of the Adriana, that caught fire and was lost during the race, retiring later. 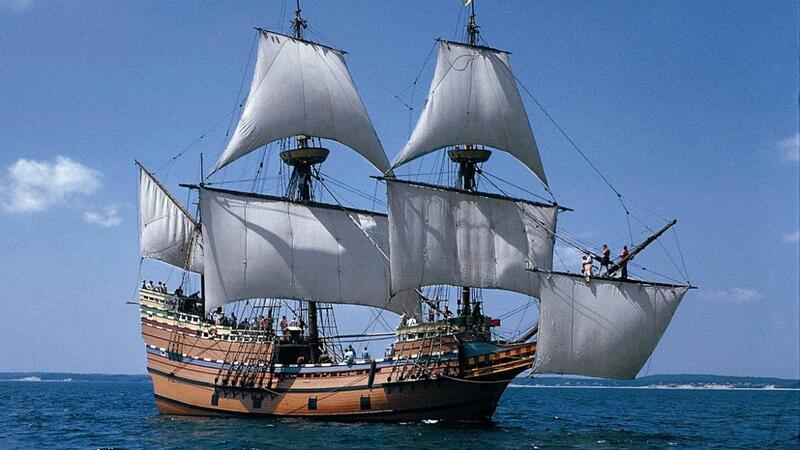 Between the years 1603-1625 there were 26 vessels the name Mayflower in the Port Books of England. It is not known why the name was so popular. But only one of them became famous because of taking the first 102 English passengers, known today as the Pilgrims, to America in 1620. They spent several days trying to sail south to their planned destination of the Colony of Virginia. However, strong winter seas forced them to the harbor at Cape Cod hook. Captain of the ship was Christopher Jones. He had bought it with partners in 1607 for the transport of goods between England and France. Specially wine was imported from the mainland to the British Isle. The ship was about 30 meters in length, 10 meters in width and 4 meters in depth, and could carry a lot of goods in compare to the other ships. The English merchant Thomas Weston had 1619 built in the ship narrow cabins for passengers and prepared it for a long journey. The Pilgrims signed the Mayflower Compact prior to leaving the ship, a document which established a rudimentary form of democracy with each member contributing to the welfare of the community. 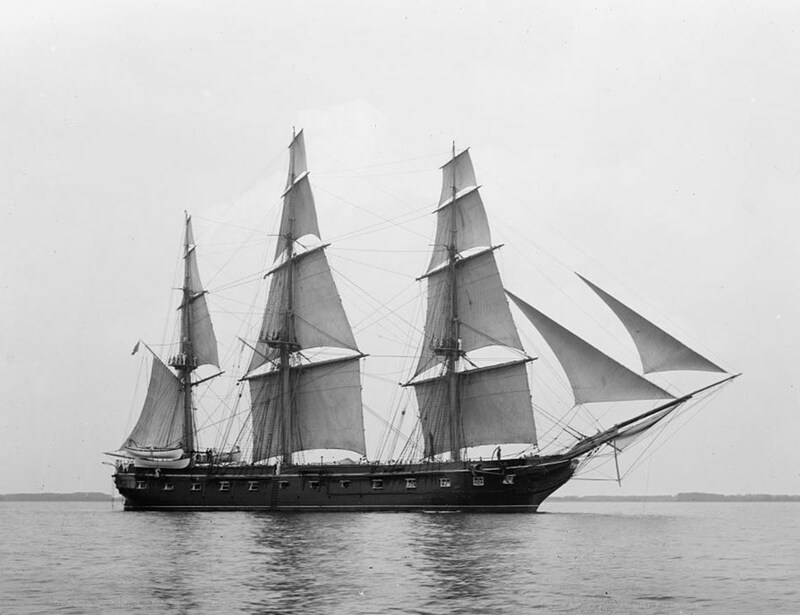 The ship has become a cultural icon in the history of the United States. 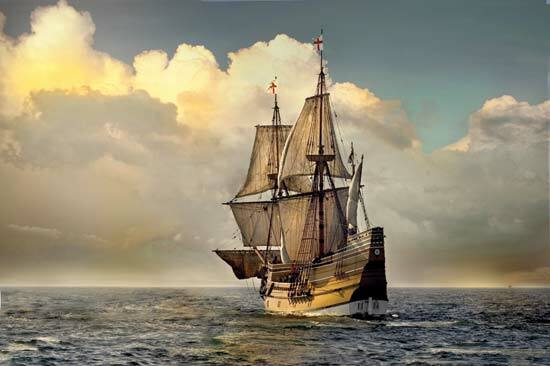 Many Americans, especially the upscale New England families, are trying to trace their ancestry back to a Mayflower passenger. 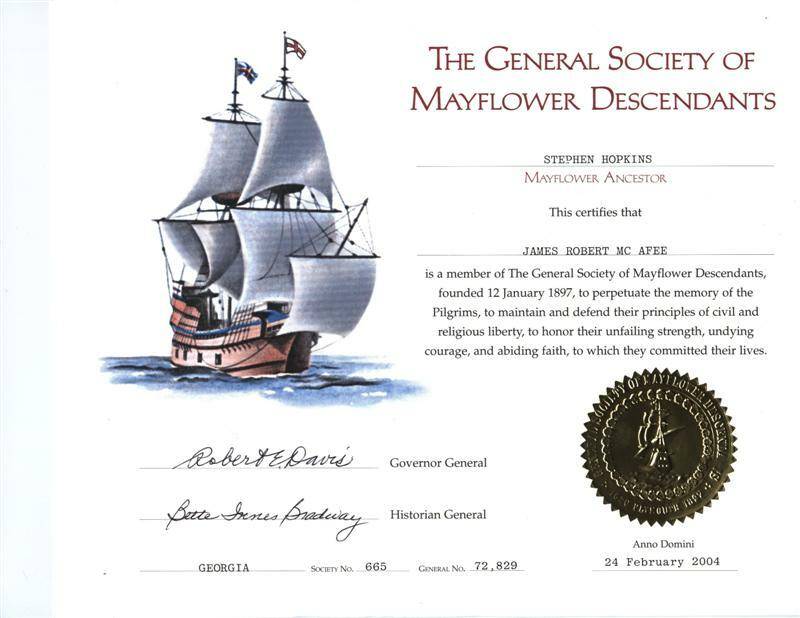 The General Society of Mayflower Descendants was founded in 1897 in Plymouth. 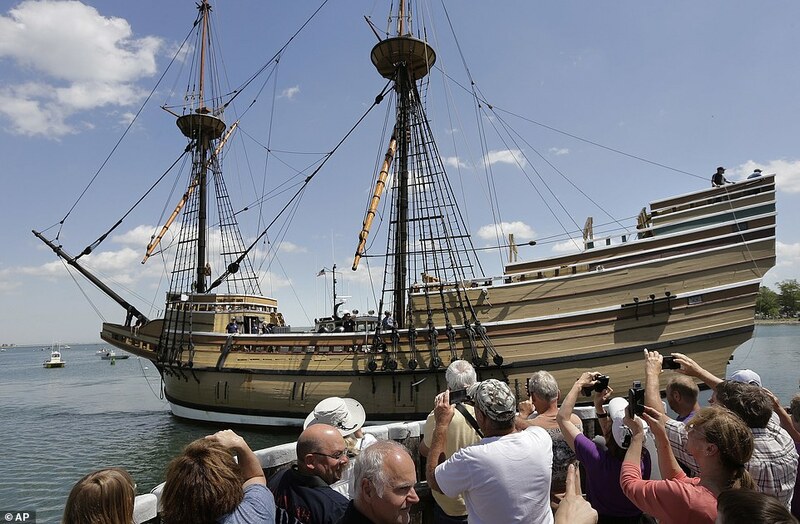 Unfortunately the Mayflower would be destroyed on its return, being constructed almost three centuries later a replica that can be visited like boat museum in the port of Plymouth. The Spanish Armada of 1588, was a fleet of about 130 ships and vessels sent out by King Phillip II to invade England. 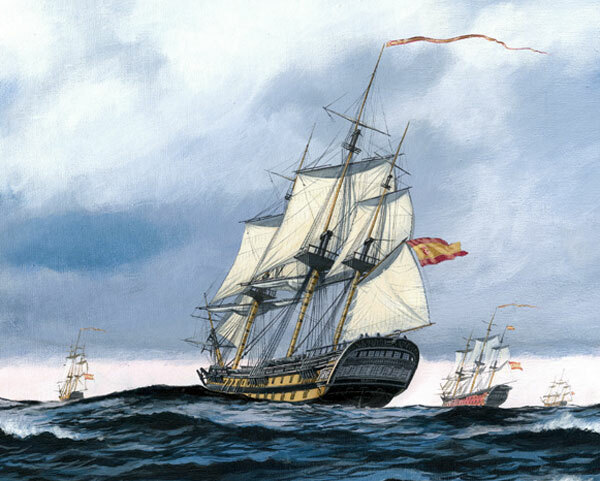 Due to multiple opposing factors such as the type of weaponry and tactics used by each side and extreme weather conditions the invasion fleet failed and only about 70 ships returned to Spain. The San Francisco was an active participant in this fleet, and her history is an interesting one. 1585 San Francisco began her existence as the Florencia and belonged to the Duke of Tuscany, who was using the ship to take advantage of the spice trade. 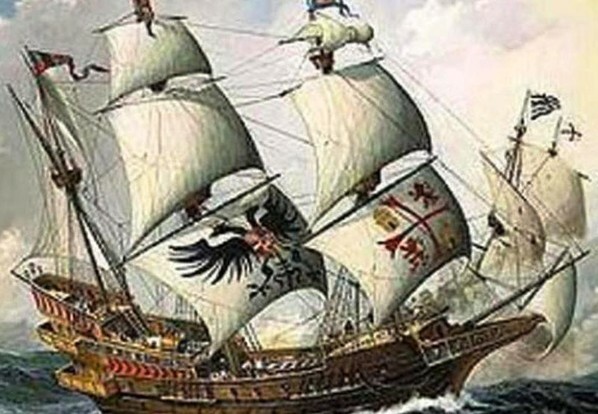 After arriving in Lisbon in 1586 the Florencia was held by Spanish authorities, and eventually impounded in mid-1587. While being held in Lisbon many captains and admirals visited the Florencia, some of who commented on her unusual 52 “brass” guns and admired how well she was constructed. After being requisitioned, the Florencia was re-named San Francisco (or San Francesco) and added to Duke of Medina-Sidonia’s Squadron. Many resources agree that the San Francisco was the best constructed and armed galleon in the Spanish Armada of 1588. She is known to have taken an active role in many of the Armada battles, and performed notably well. 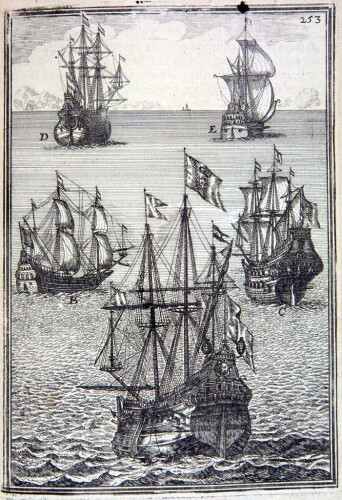 Galleons were large, multi-decked, mostly three masts sailing ships that first used by the Spanish as armed cargo carriers and later adopted by other European states from the 16th to 18th centuries during the age of sail and were the principal fleet units drafted for use as warships until the Anglo-Dutch Wars of the mid-1600s. 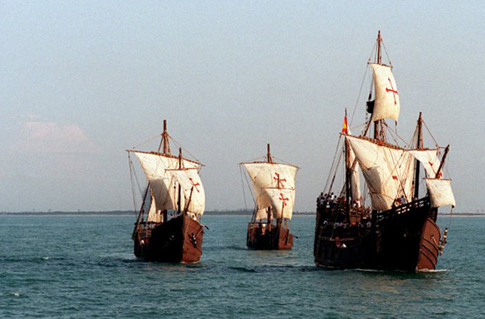 In general, the ships used at the time of Christopher Columbus were usually Galions, Caraques, and Caravelles. 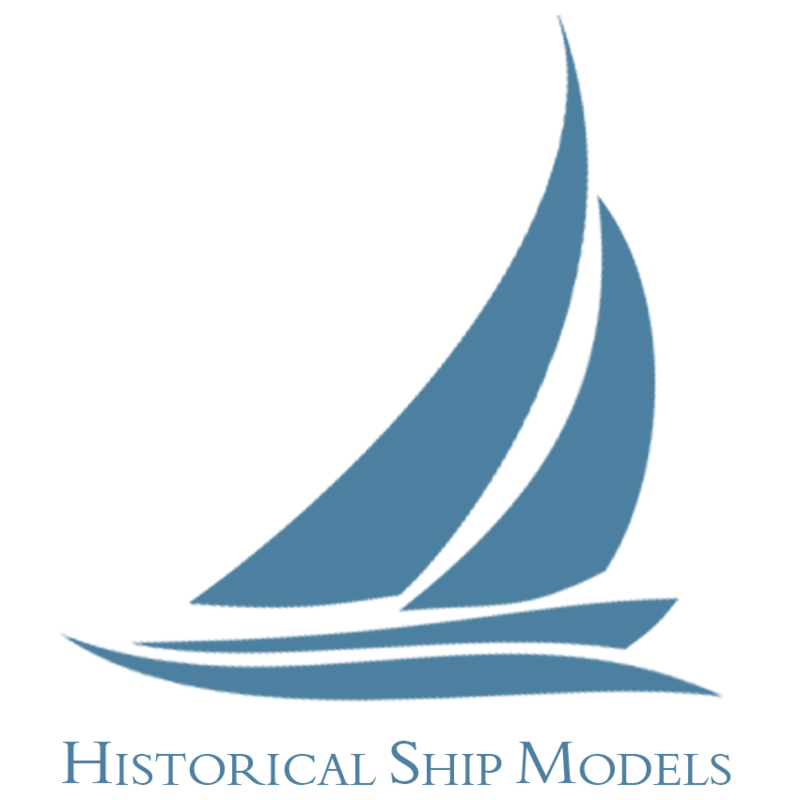 The first two types were large sailboats with high tensile power and could carry loads of passengers and cargo. While the other types were small, but fast ships that even could sail contrary to the wind direction and was suitable for long journeys (known as ” al-Qarib ” in Arabic countries means “close” because for shorten the long distances). 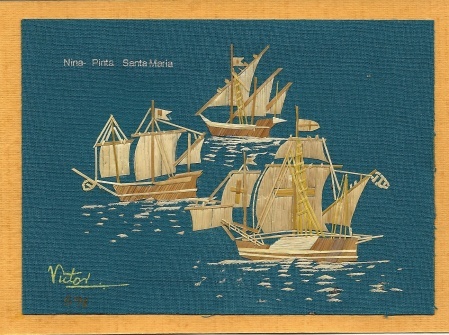 San Jose Galleon was a up to 64-gun, 3-masted galleon of the Spanish Navy built at the shipyard at Mapil, Usurbil. 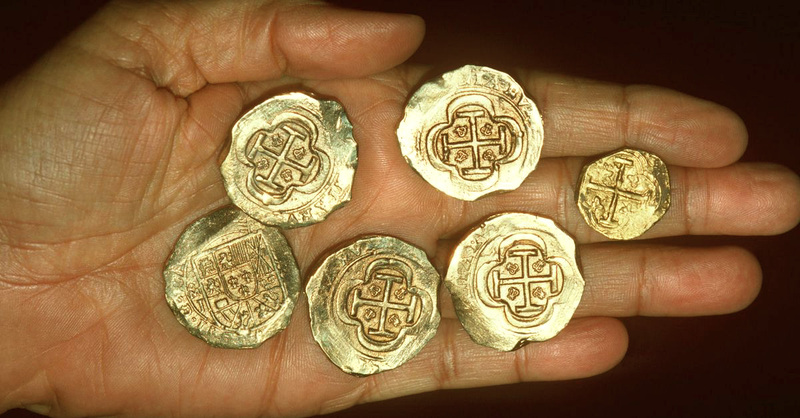 It was launched in 1698, and sank in battle off the coast of Cartagena, Colombia in 1708 while laden with gold, silver and emeralds worth about US$17 billion. A full-sized vessel of Galleon was constructed in Huelva, Spain by the Nao Victoria Foundation in 2010 which can be visited. Santa Maria, the biggest and leader of the three caravels used by Christopher Columbus in the first voyage to the New World. Built in the shipyards of Colindres. 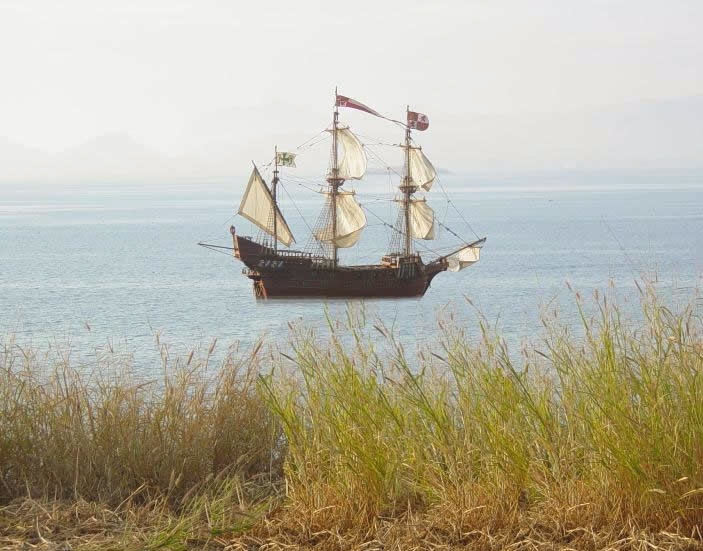 The expedition, he with 90 seamans, left the Port of Palos in 3 of August of 1492 captained by the Santa Maria and two other ships La Pinta and La Nina. The famous US Constellation frigate of the US Navy. 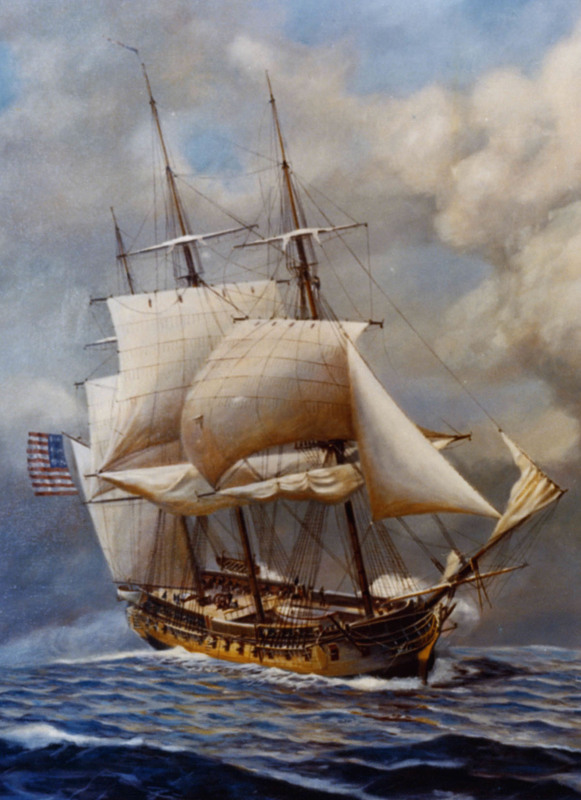 It is difficult to find in the annals of the sailing naval history a boat with almost as much diversity of occupations as years of service, that is the case of the US Constellation. 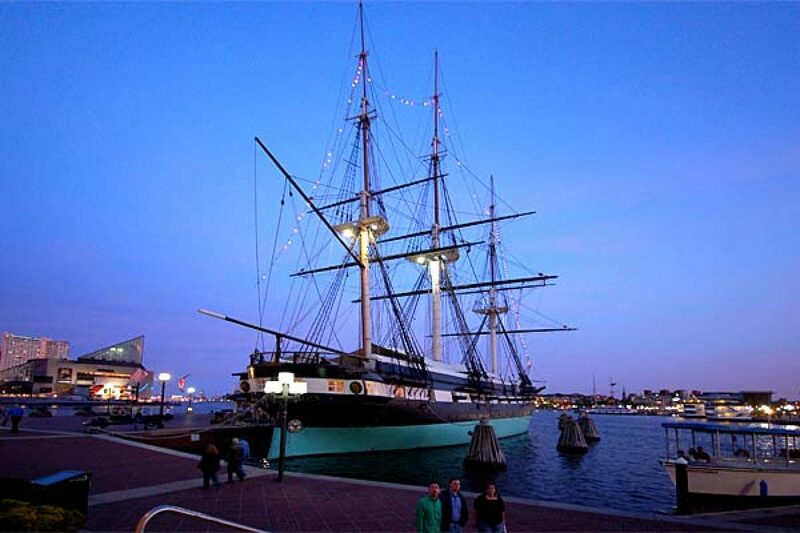 Built in 1797 in Baltimore, this frigate had among its missions to seize numerous ships, prevent the annexation of the Hawaiian Islands by the English Navy in 1843 or transport food to Ireland during the great potato famine of 1845-49. It was also the first American warship to visit China in 1842 and was designated a school vessel in 1871. Specially the vessel also played a central role in ending the foreign slave trade. By 1807, the founding fathers outlawed the importation of slaves to the United States. Slaves could no longer be brought into the U.S. from Africa, but slavery was still legal. 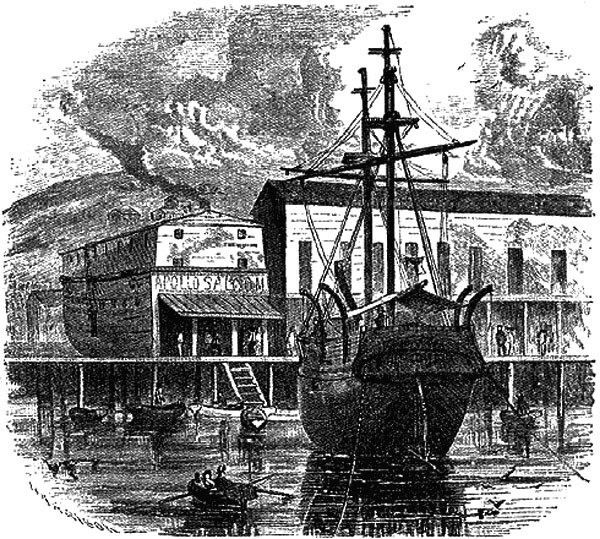 Some U.S. merchants ignored the law and continued to kidnap free Africans and sell them into slavery. The US Constellation attempted to stop this by capturing slave ships off the coast of Africa. Total, the crew captured three slave ships and freed over 700 Africans, including 200 women and children. 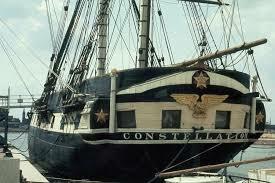 Today US Constellation is the second oldest warship after HMS Victory which is still in service. It’s also a museum boat available to its visitors in the city that gave birth to it. Spanish warship with 74 cannons belong to the Spanish Armada of the 18 Century. She is a beautiful example of the heroism and gallantry of the Spanish sailors widely demonstrated in the Battle of Trafalgar. Constructed in the shipyards of Guarnizo (Cantabria) in 1765, the San Juan Nepomuceno fulfilled different performances. 1793 participated in the siege operation of Toulon, France. In 1797, she was present at the Cape St. Vincent battle. But the glow of the ship was revealed in 1805 in the Trafalgar Battle, under the command of Admiral Cosme Damian Churruca. San Juan Nepomuceno was the last ship to continue to resist after the collapse of the French and Spanish fleets. The ship was severely damaged, and was surrounded by 6 battleships and under artillery fire. But the captain did not gave up and ordered the sailors to fight for their last drop of blood. After he and his second commander died, the last commander instructed to avoid drowning the ship that was full with 400 deaths and injuries. The ship was then served by the Royal Navy. 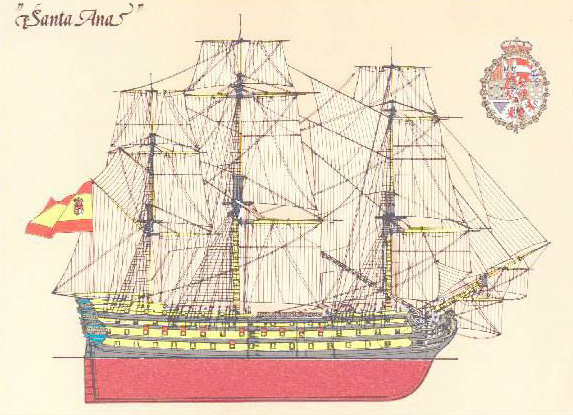 Santa Ana was a 112-gun three-decker ship of the line of the Spanish Navy, built to plans by Romero Landa. She was launched on 28 September 1784 at the Reales Astilleros de Esteiro. Captain Félix de Tejada reported the test to his commanding officer that the ship “Kept the battery in good use even in a fresh wind and heavy seas”. The success of the trials led to a royal order that subsequent three-deckers would be built to the same plans. 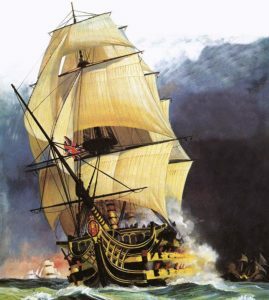 In 1805 at the battle of Trafalgar she was the flagship of Alava and captained by José de Gardoqui – she suffered 97 killed and 141 wounded, with Alava himself seriously wounded, and was captured by the British. However, two days later, a squadron succeeded in recapturing the ship. At the start of the Peninsular War in 1808 she was undergoing repairs at the Arsenal and so could not participate in the capture of the French squadron under Admiral Rosily. She and Príncipe de Asturias moved to Havana in 1810 to avoid capture by the French and sank in its Arsenal in 1816. In 1834 she could still be seen next to the Príncipe de Asturias (which had also sunk) in the mud in front of the Arsenal.